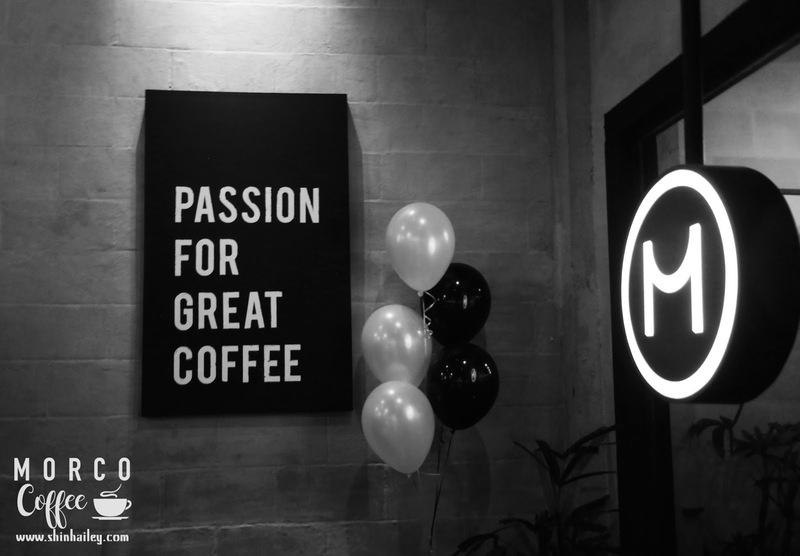 said Matthew Chong, CEO of Morco Coffee. 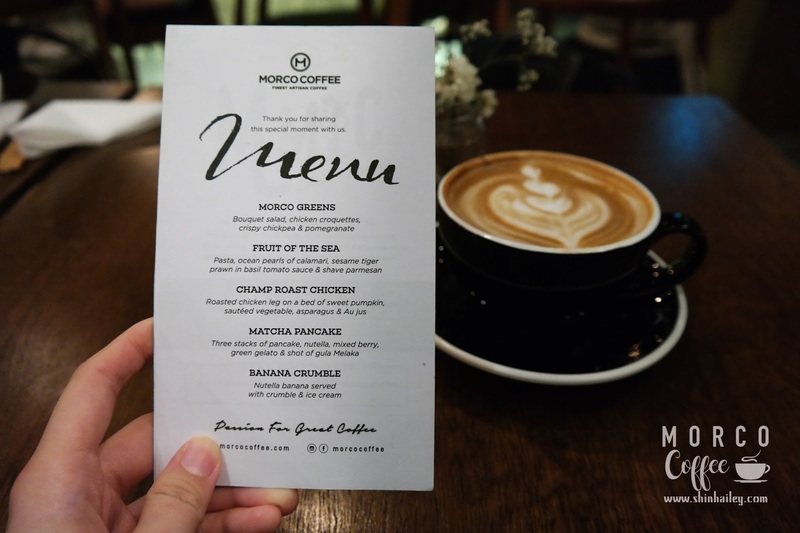 Was so excited to be invited to attend the 1st Anniversary and Relaunching event by Morco Coffee. 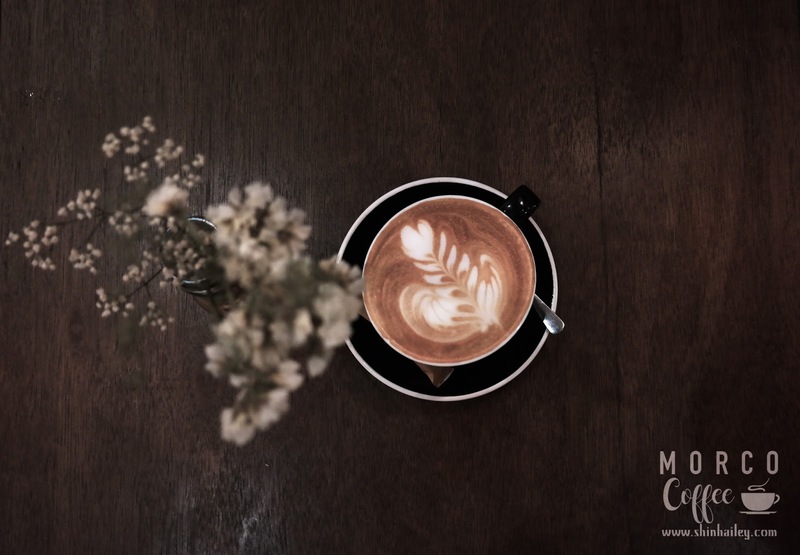 For those who haven't heard about this coffee shop before, let me brief you with some ideas. 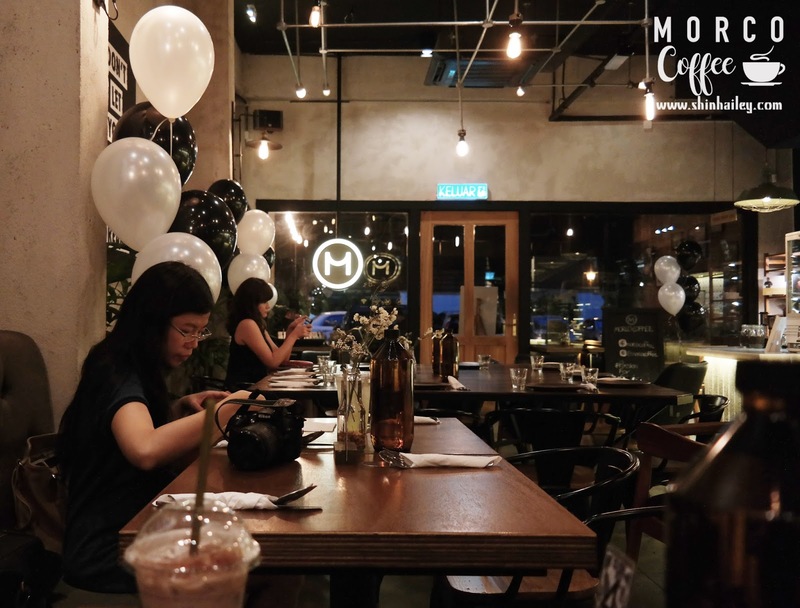 This is a third wave coffee shop that was specially designed to serve freshly brewed artisan coffee and food. 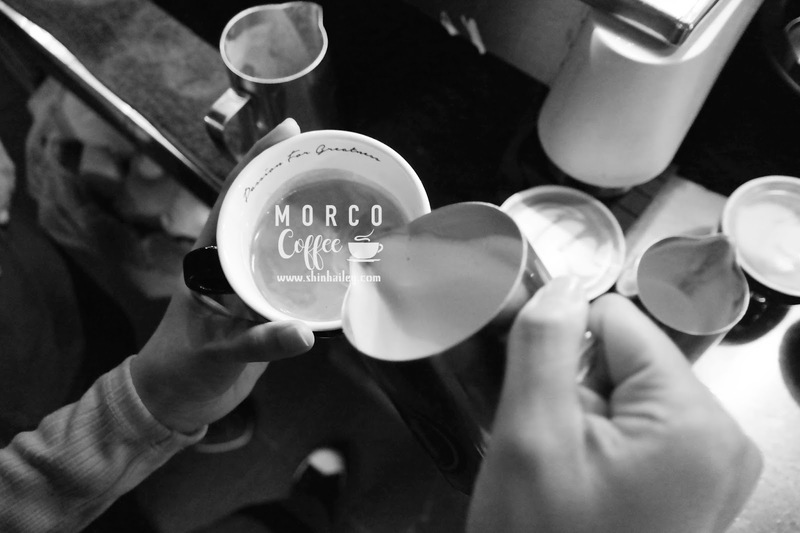 Morco coffee is pursuing courage through taking a sip of our finely roasted coffee out of this cup. 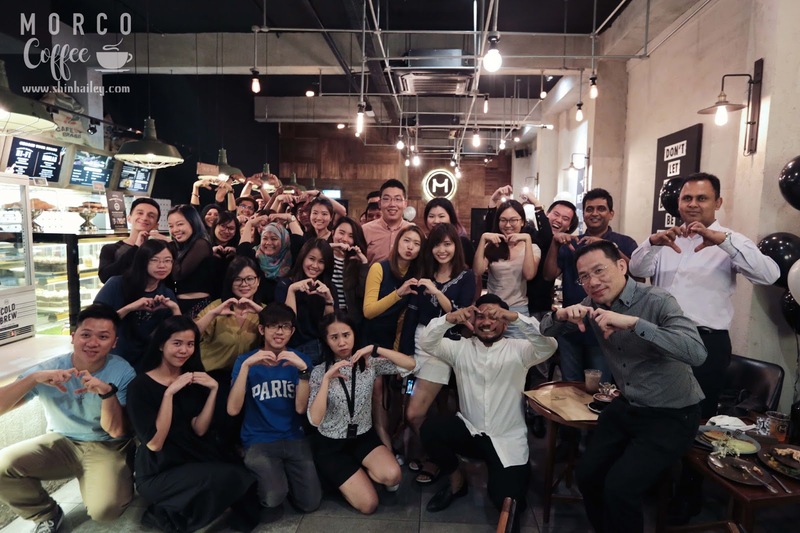 "We aim to embody sustainability, fair trade, transparency and humanity to vast communities along with our e-commerce sectors towards businesses and consumers." They said. 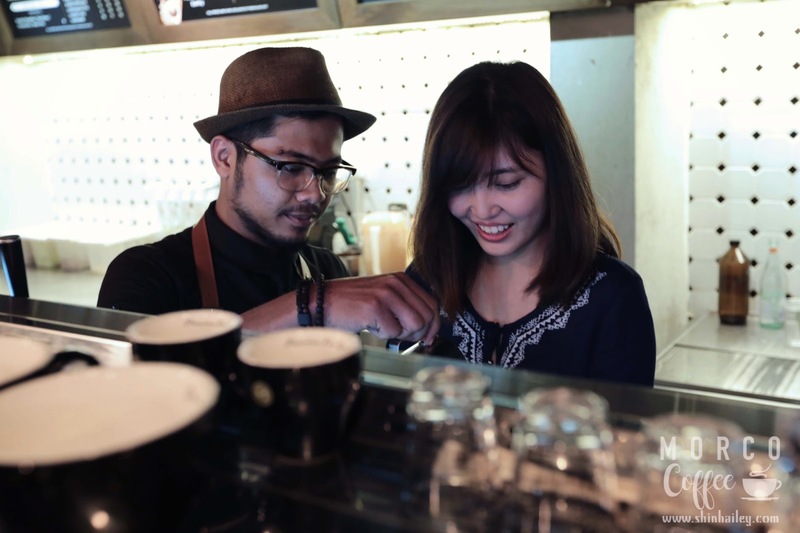 So, what weighs most in their attitude in serving a great cuppa of coffee? First stepped into the shop, the ambiance was good and comfy with the jazzy music. Urban design styles with wooden furniture just perfectly enlighten the mood. 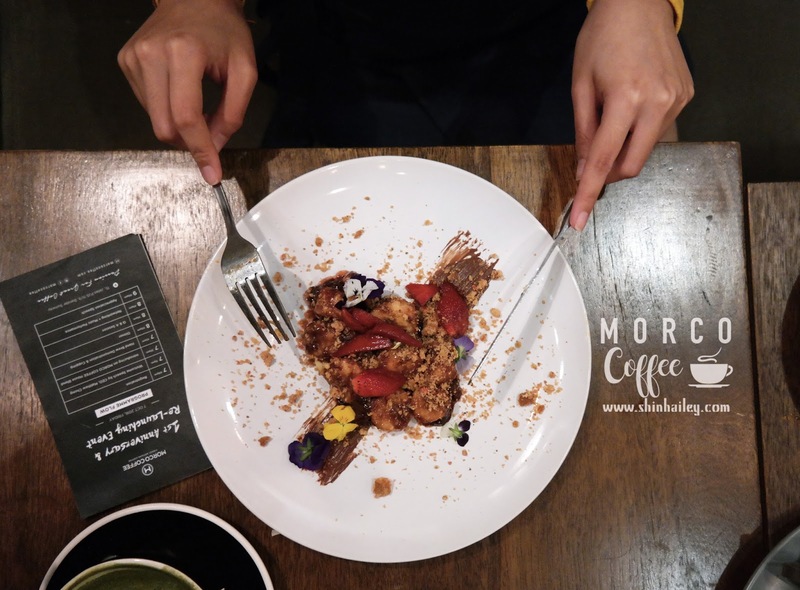 After the guests arrives, the event started with introduction of Morco Coffee's house blend which was Hi-Fi - a nutty and earthy finishing & Monian - a chocolatey that comes with hints of apricot. 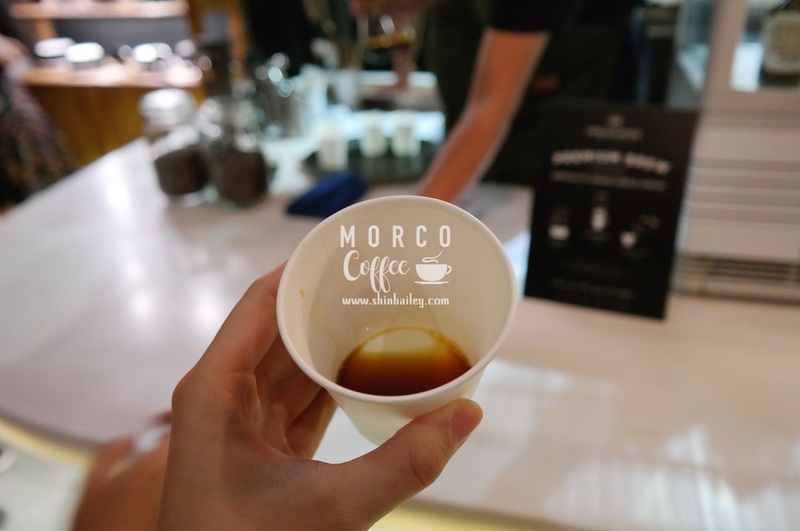 Followed by the speech, we had a chance to witness the coffee hand-brewing demonstration. We gathered all around the hand brew counter to get a glimpse of different hand brewing methods. 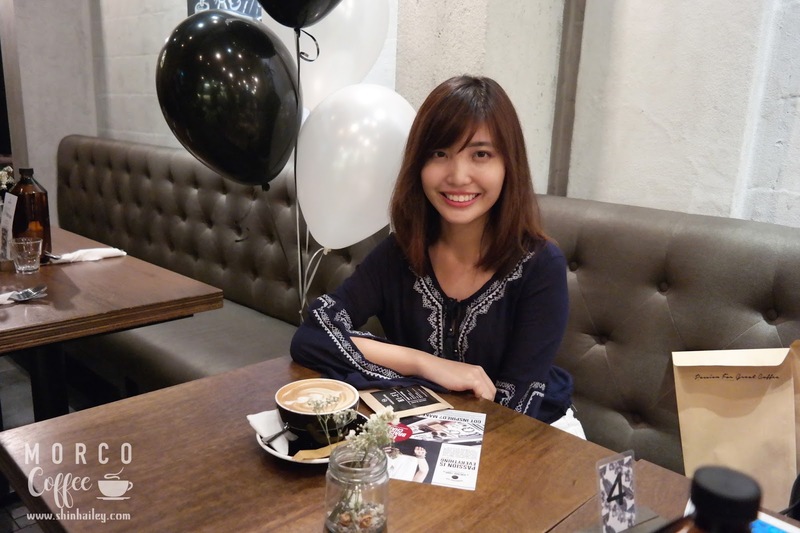 Here's a picture of me with the cute balloon as backdrop. Still behaving before digging my meals. 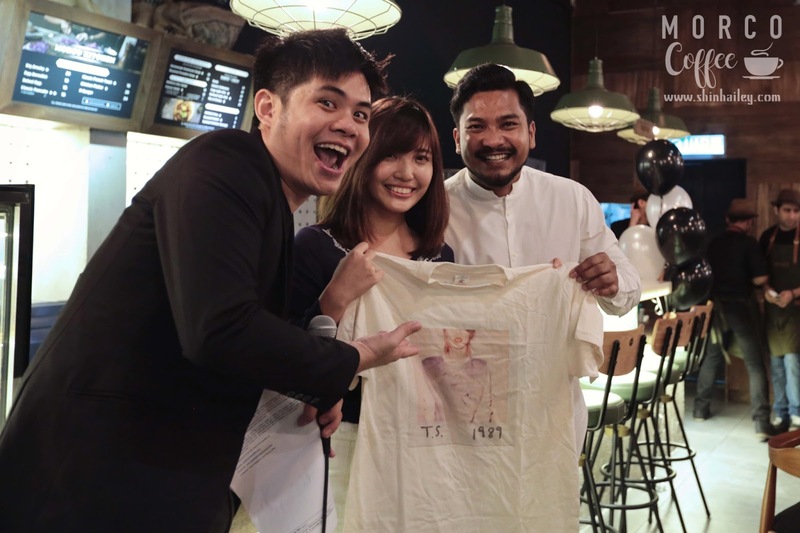 Of course, the highlight of the event are the launching of secret menu as well. Let the pictures speak. 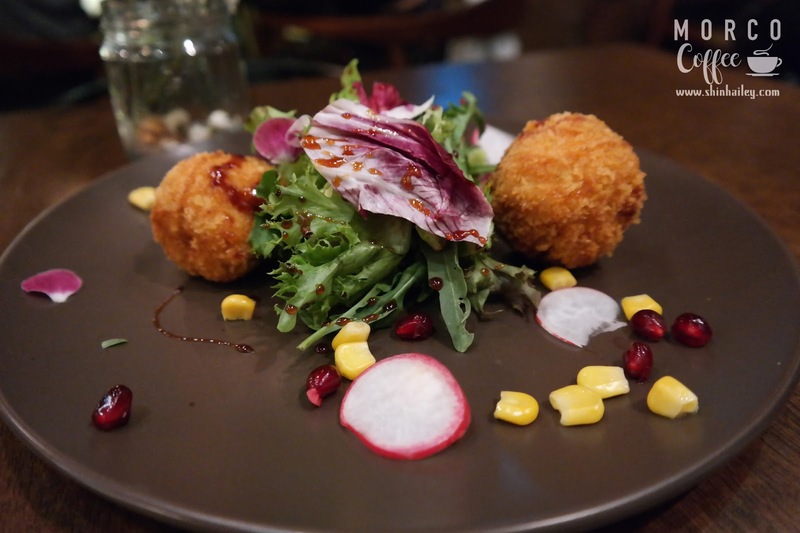 Bouquet salad dish with chicken croquettes, crispy chickpea and pomegranate. 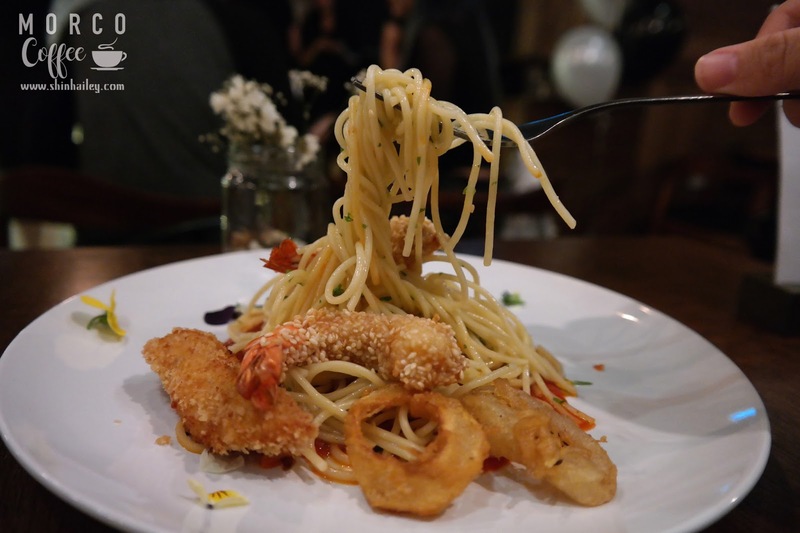 Seafood pasta dish comes in ocean pearls of calamari, sesame tiger prawns in basil tomato sauce and shaved parmesan cheese. 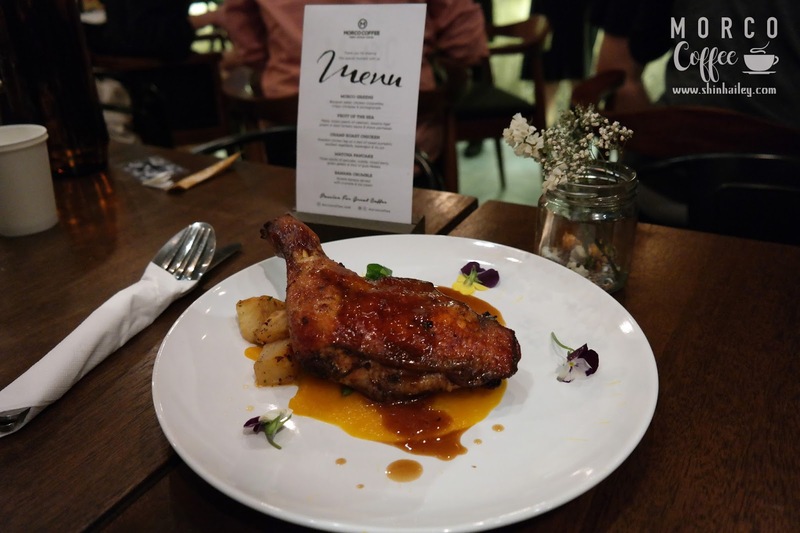 Roasted chicken leg served with a bed of sweet pumpkin that comes with savoury flavours. To be honest, this is good. 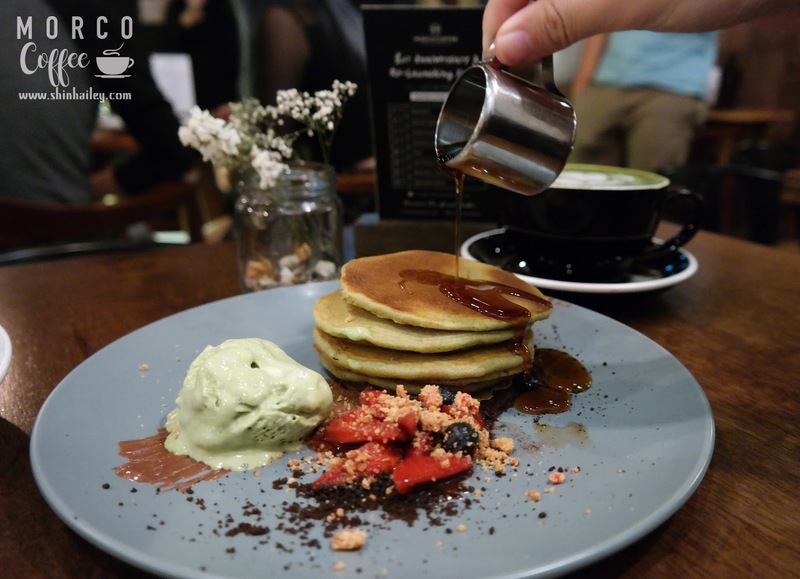 Stack of pancakes, nutella, mixed berries, green gelato and a shot of gula Melaka. 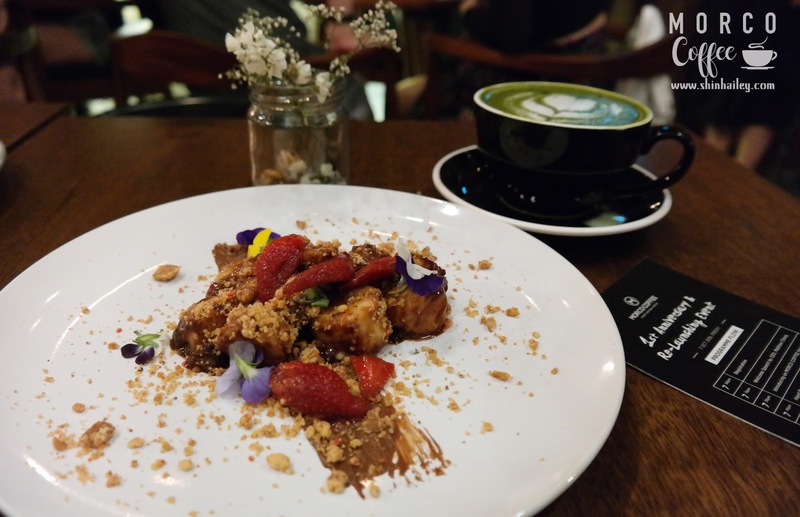 Nutella banana served with crumble and gelato which would satisfy your sweet tooth. So the night was interesting when they invited the guests to make our own latte art during the dinner. 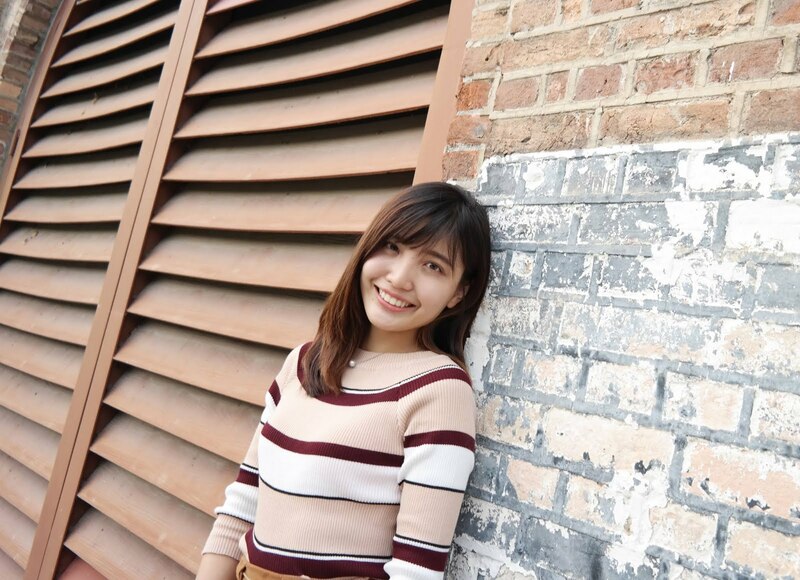 Of course, I joined the session. Slowly making shapes under supervision of their friendly barista. Gained back the enthusiasm and remembered when I last worked as a part time barista. Oh ya! Forgot to tell you about this!!! 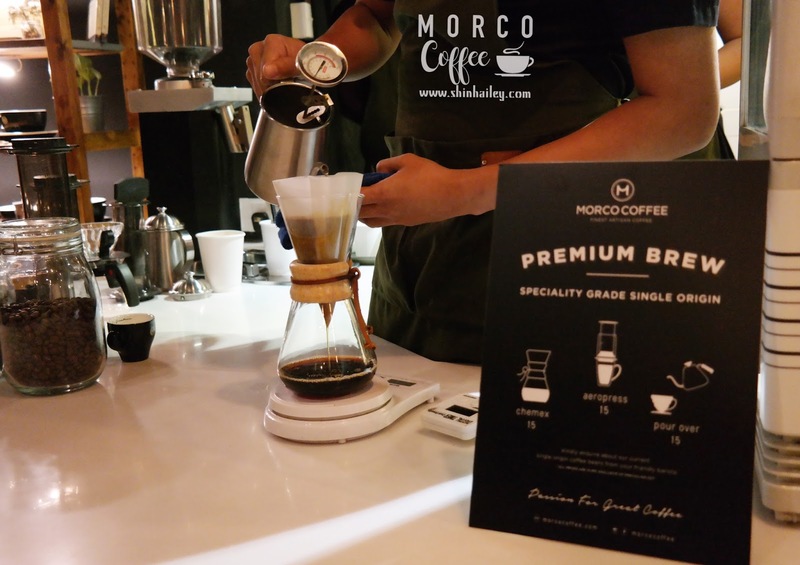 They have come out with drip coffee pack to brew coffee hassle free. 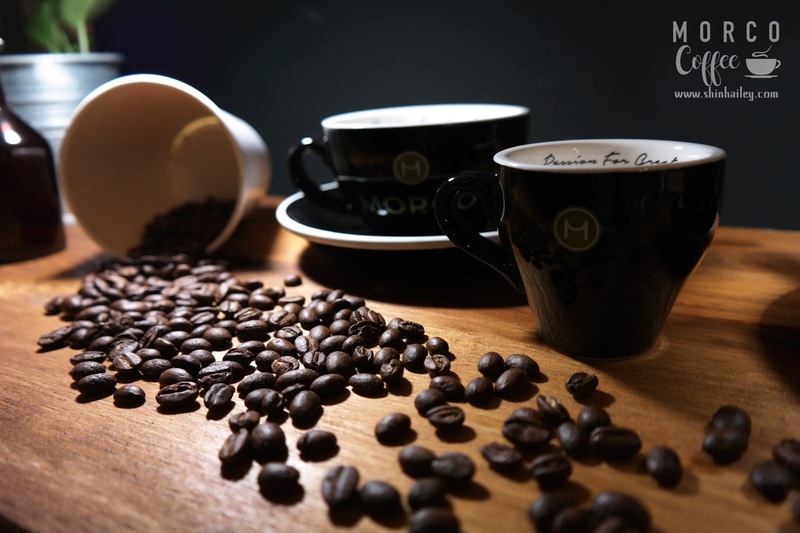 All you need is just a cup of hot water and you will get to enjoy delicious fresh coffee whenever you go. 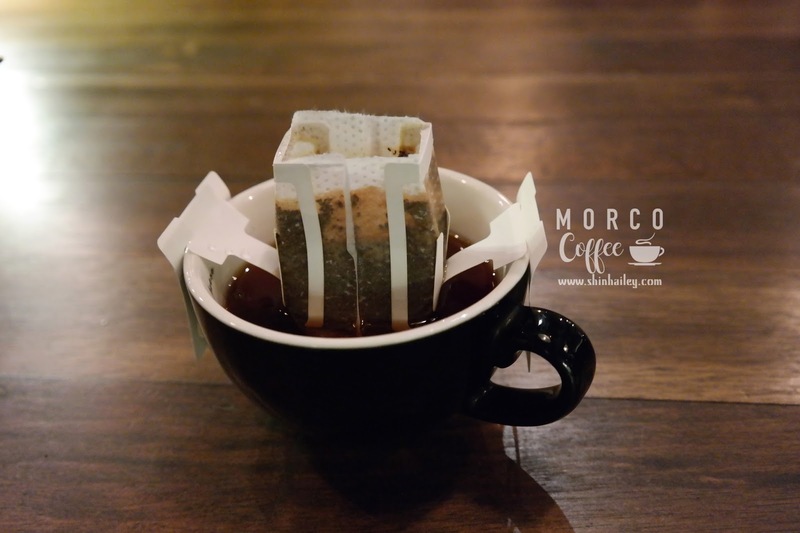 Instructions given : Place the drip pack on your mug, slowly pour 150-180ml hot water into drip pack and enjoy your cup of great coffee. It's available on sale now in Morco Coffee stores. 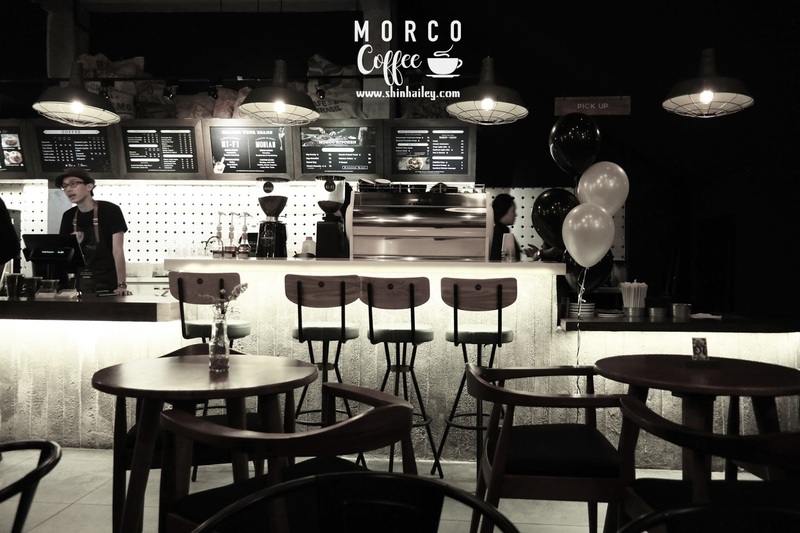 Morco coffee was established on 2015 and currently own 2 outlets. 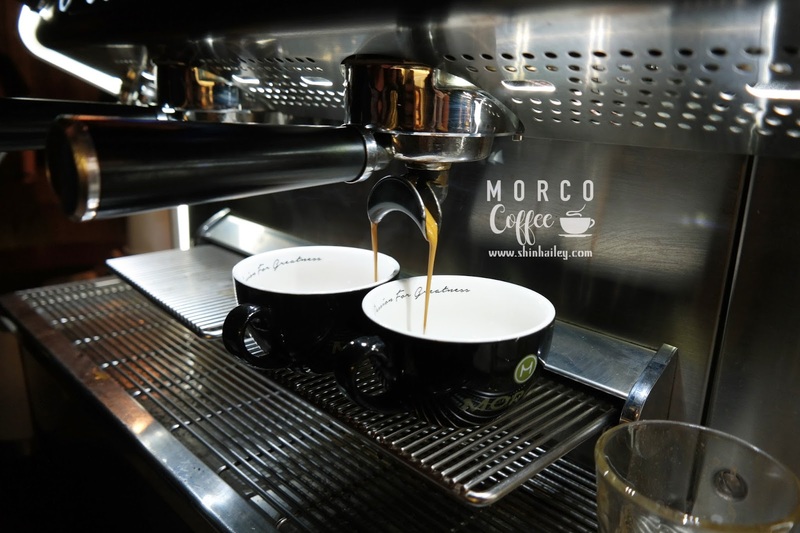 Really having an outstanding performance in coffee industry. 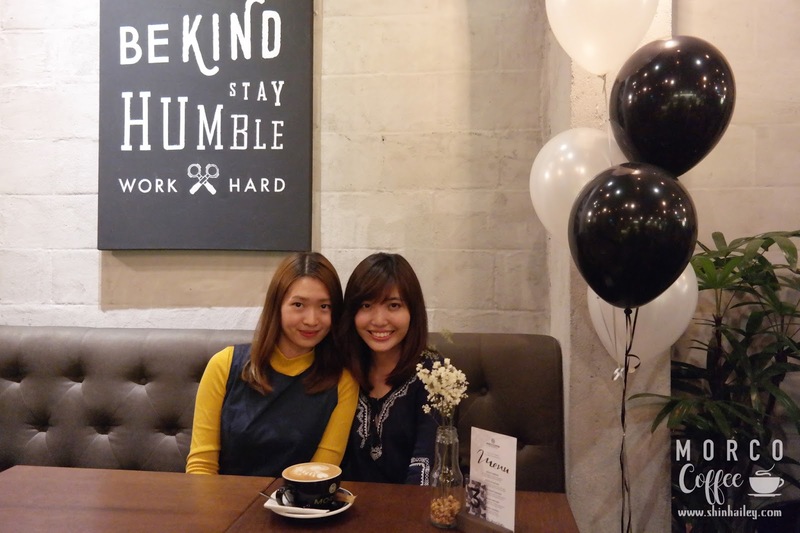 Their aim is to serve freshly brewed atisan coffee and decent food. Thankyou for the invitation and we have had a great night. 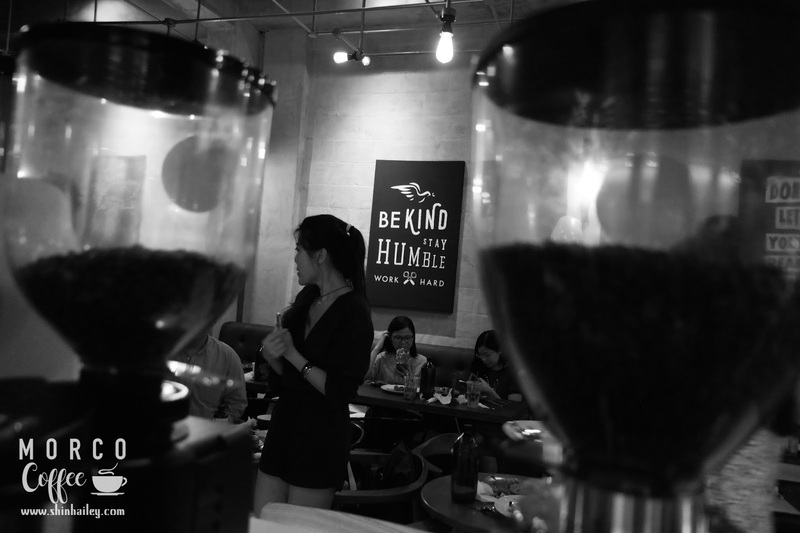 Pursuing courage through taking a sip of our finely roasted coffee out of its cup.